Gilles Deleuze (1925–1995) is probably Meillassoux’s most important interlocutor, the philosopher who is both closest to his own concerns and yet the one with whom he most strongly disagrees. On the one hand, both Deleuze and Meillassoux place great emphasis on contingency, and each draws from the work of David Hume in important respects in order to make the case for contingency. The central thesis and subtitle of Meillassoux’s After Finitude is that the only thing that is necessary is the necessity of contingency. Deleuze and Guattari, similarly, will call out in What is Philosophy? against what they label the cult of necessity and will reaffirm Nietzsche’s own advocacy of the roll of the dice, the chance and contingency inseparable from all things. In What is Philosophy? they will also give philosophy the task of creating concepts, a task that entails affirming and embracing a fundamental chaos. Similarly for Meillassoux, chaos, or what he calls hyper-chaos, is fundamental, and the nature and role of this chaos is one of the principal themes of his own philosophy. Despite these similarities, there are three points that Meillassoux singles out where the differences could not be starker. First, whereas Meillassoux’s project sets out to critique what he calls correlationism, Deleuze, by Meillassoux’s lights, actually affirms a strong version of correlationism in that the correlation itself becomes the absolute in Deleuze’s system. With the traditional understanding of correlationism, the real is always and only real as correlated to a subject that has access to it. One can entertain the thought of a world without correlation, but then again this would be a thought and we are once again within the circle of correlationism (hence the problem of ancestrality). Deleuze, Meillassoux argues, does not even entertain the possibility of a world without correlation, but absolutises it. He offers a ‘vitalist hypostatization’ (AF, 64), to use Meillassoux’s term, of this correlation by arguing that all reality is simply a correlate of a life. The second point of difference concerns the philosophy of becoming. According to Meillassoux, one only truly overcomes the ‘cult of necessity’ and truly affirms contingency when one abandons any attempt to establish a philosophy of becoming. The reason for this, Meillassoux claims, is that absolutising becoming involves affirming contradictory entities – an entity that simultaneously is and is not – and yet it is just such entities that are not contingent for they always include all their possibilities; they cannot not be since they already presuppose their not being! Deleuze’s philosophy of becoming is thus incompatible, Meillassoux concludes, with the effort to overcome the cult of necessity. The third and final point of disagreement concerns the principle of sufficient reason (PSR). Simply put, while Meillassoux rejects the PSR, Deleuze endorses it. Meillassoux’s reason for rejecting the PSR is quite straightforward: it is a consequence of the necessity of contingency in that there is no reason for anything being or not being the way it is. Deleuze, by contrast, is inevitably drawn, Meillassoux believes, to a version of the PSR by virtue of his own version of strong correlationism. It is thus only by overcoming correlationism and the related philosophy of becoming, therefore, that one can truly support the two points upon which Meillassoux and Deleuze agree. Deleuze and Meillassoux are thus so close yet so far away philosophically, and thus it is no surprise that Meillassoux devotes a fair amount of energy to contrasting his own position with Deleuze’s, beginning with the strong correlationist label he attaches to Deleuze’s project. 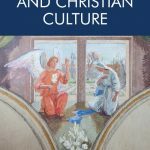 In his longest treatment of Deleuze, the essay ‘Subtraction and Contraction’, Meillassoux offers an illuminating and creative take on Deleuze’s thought. Meillassoux’s treatment of Deleuze here is very fair and nuanced, but, as with his teacher Alain Badiou, there is a tendency to read Deleuze as a dualist, a virtual-actual dualist in this case. These dualist readings are problematic. For one, the virtual is not, Deleuze makes clear, a separable reality determinately distinct from the actual. If this were the correct reading, then the strong correlation between Life – taken here as the virtual writ large – and the determinate actualities would indeed be how to read Deleuze. For the sake of brevity, it should be noted that Gilbert Simondon’s work was profoundly influential upon Deleuze’s, and an important part of Simondon’s philosophical work was to understand the process of individuation from metastable states. A metastable state is not a determinate state but is rather the dynamic condition for the possibility of differentiating between determinately distinct states. There is a tendency in Meillassoux’s reading of Deleuze, as there was in Badiou’s, to assume a world of two fundamentally distinct and already individuated states – the virtual and the actual – when in fact it was precisely the effort to understand the emergence of individuated states that best characterises Deleuze’s entire project. Perhaps the conclusion to draw is that Meillassoux has in Deleuze a worthy interlocutor. 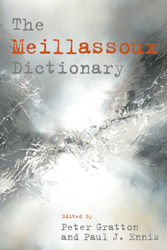 Deleuze, Gilles by Jeffrey Bell is an extract from The Meillassoux Dictionary edited by Peter Gratton and Paul J. Ennis, published by Edinburgh University Press. Jeffrey Bell is Professor of Philosophy at Southeastern Louisiana University. He is the author of Deleuze’s Hume and co-editor of Deleuze and History in the Deleuze Connections series, both published by Edinburgh University Press.